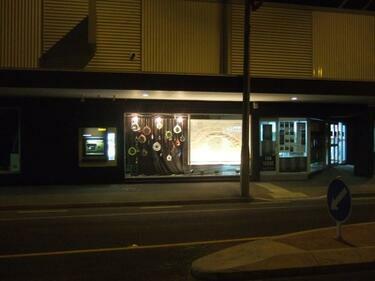 A photograph of the outside of the building housing the As Far As Eye Can See exhibition. 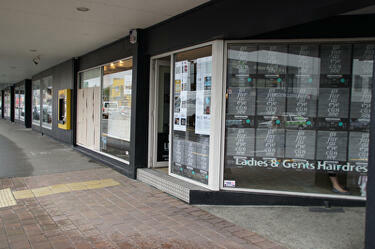 Posters in the window advertise the exhibition. 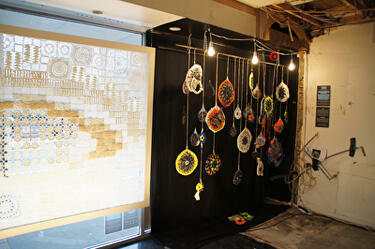 A photograph of the As Far As Eye Can See exhibition. 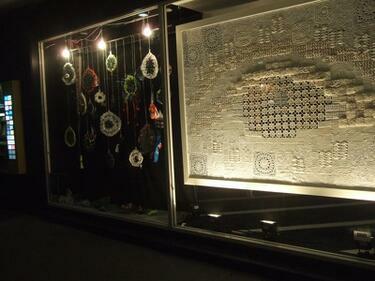 On the left is a crocheted image of an eye, created by a group of women from Adelaide, and on the right are woven fabric artworks created by Christchurch craft artists in response. 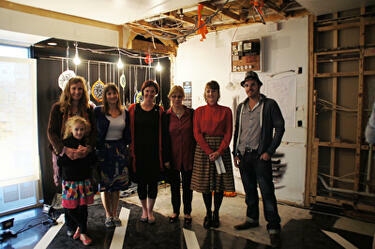 A photograph of some of the craft artists who were involved in creating the As Far As Eye Can See exhibition. 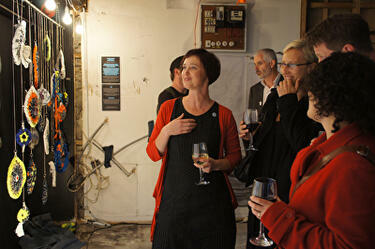 A PDF copy of pages 170-171 of the book Christchurch: The Transitional City Pt IV. 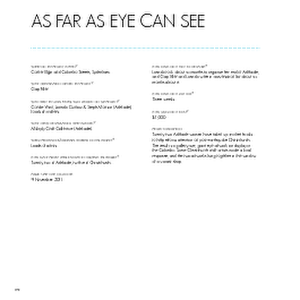 The pages document the transitional project 'As Far As Eye Can See'. 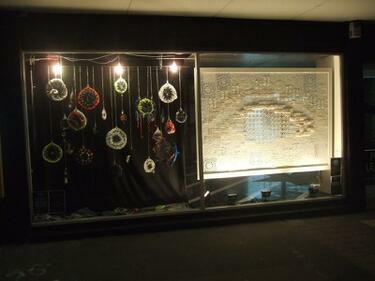 The "As Far as Eye Can See" artwork on display in a window of The Colombo shopping centre, viewed from Colombo Street. A mandala created as part of Gap Filler's "As Far as Eye Can See" artwork. 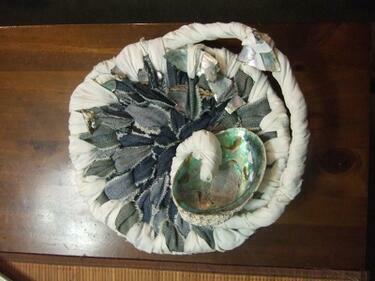 This mandala is made out of denim and cloth as well as a paua shell. 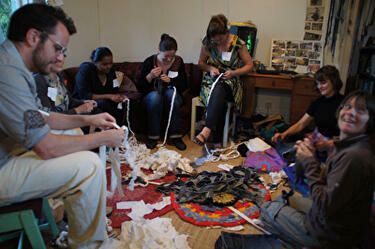 A photograph of a group of people plaiting fabric strips to create artworks for the As Far As Eye Can See exhibition. 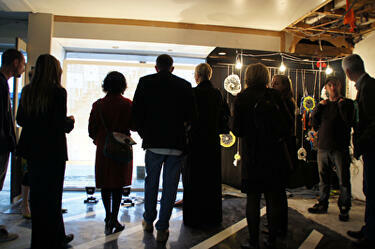 A photograph of people examining the artworks at the opening of the As Far As Eye Can See exhibition.